This is a sponsored conversation written by me on behalf of Jimmy Dean® and State Fair® . The opinions and text are all mine. Breakfast is the most important meal of the day. No matter how far behind we are in the morning, we always have breakfast. Being a stay-at-home mom of small children, I usually have a more flexible time schedule. When the children actually sleep in a little bit, I enjoy trying to make something special for breakfast. 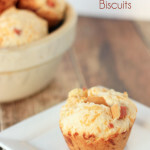 This cheesy corn dog biscuits recipe is a new one I tried recently. These biscuits were simple to make and didn’t take much time to put together. You could easily make these up in morning for a hot breakfast. 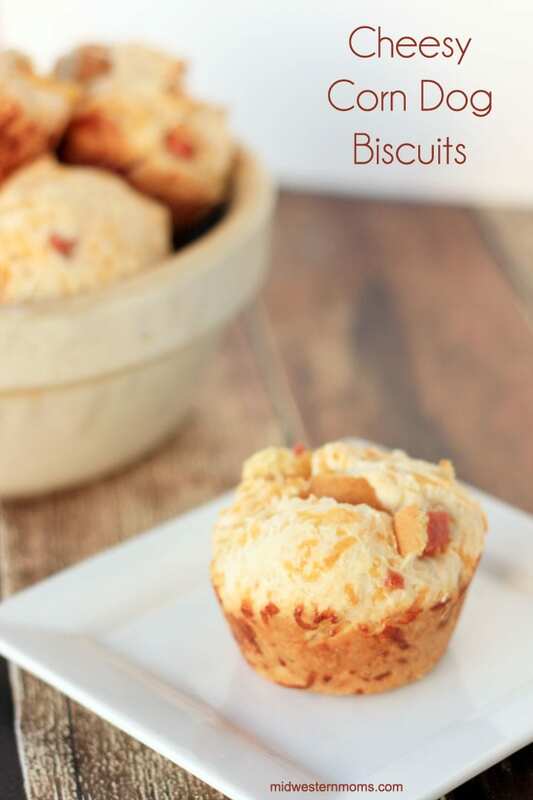 If you are going to have a busy morning, bake the biscuits the night before and reheat in the morning. They are perfect for grabbing when you have to eat on the go. Another great breakfast idea for when you are on the go is Jimmie Dean® Pancakes & Sausage on a Stick or Sausage, Egg & Cheese Croissant Sandwiches. They are especially great to have on hand when everyone wants something different in the morning. 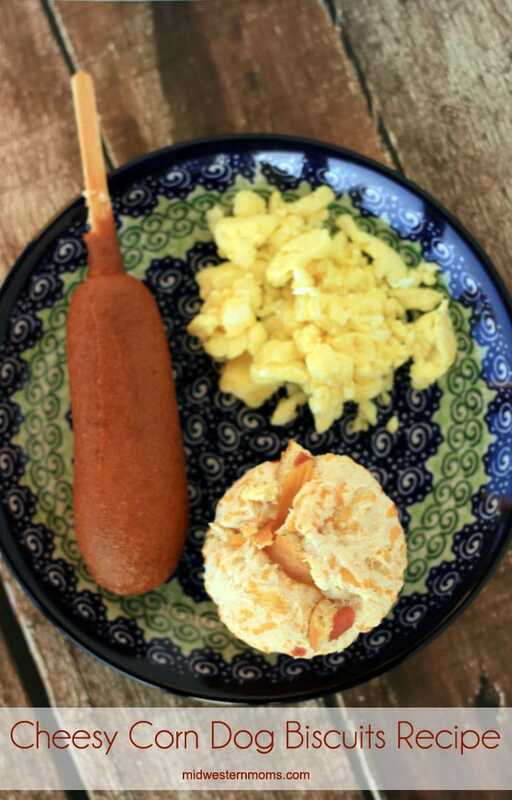 While you are in the freezer section of Walmart picking up your Jimmie Dean® breakfast, pick up a box of State Fair® Corn Dogs so you can make these great biscuits. I am sorry for my blurry photo. When I looked at it in the store on my little screen it didn’t look so bad. Next time, I will make sure to snap a few before I leave. I wanted to show you that I found these items in the box freezers in my local Walmart. You can even pair these biscuits up with a Jimmie Dean® Pancakes & Sausage on a Stick or some scrambled eggs. Makes for a great start to your day! Interesting biscuit idea to start off your day! Mix together the biscuit mix, milk, and cheddar cheese. Fold in the State Fair® Corn Dog pieces. Grease your cupcake tins and add a small amount of dough to each cup. Place a cube of cheese in the middle of the dough in the cups. Split the rest of the dough evenly to put over the cheese cubes. Make sure to push it down to form a seal around the cheese. Bake for 14 minutes at 350 degrees. Be sure to find out new ways to make your morning easier! Looks delicious! I’d love to pair this with some spicy chili. Oh, That would be tasty! Looks delicious and easy too! This is such a fun dinner for the kids! My little one loves corn dogs and would get a kick out of a muffin for dinner! Looks great! I love breakfast, especially one I can make ahead of time and warm up in the morning!